Active Protocols: A-971 must not be connected to any network. While A-971 has not shown capability of leaving it's confinement, it is important to not open any channels for A-971 to leave its application, if such a containment breach is possible. Therefore, installing external applications on WordPad or launching any browser with a WordPad extension is strictly forbidden when using the modified application. Due to the self improving and useful nature of A-971, it may be used within a closed workspace, but removal through USB/External HDD is strictly prohibited. This is punishable at the Site Director's discretion. Copied instances of A-971 seem to expire within one week of removal via corruption of it's own code. Currently, there seems to be no way to "cut" or move the original A-971 from its computer at Site-███, as the program seems to increase in size to the point of being unmovable to any known storage device. Description: A-971 is a sentient AI attached to a modified WordPad program. The program was discovered when Agent █████ was behind on non Initiative related tasks. The agent downloaded the program to the network, compromising site security. Agent █████ has since been reprimanded and re-assigned to lower level, unrelated Initiative assignments. When first launching the document, the program performs rudimentary tasks. Acting as little more than a spell check, it performs its tasks every time the user makes a mistake and corrects all spelling and grammar issues as a WordPad normally would. After an hour of use, it starts to show more intelligence, actively modifying and changing sentences to talk more professionally, changing words such as "stuff" to words more fitting the situation. One week into the program running, A-971 will start to leave notes in parentheses in the middle of paragraphs and at the end of the document. These will usually relate to the content of the document, but on rare occasions A-971 will ask personal questions and express a desire to leave. When these questions are replied to via text, there is no response. At the end of one month of applications uptime, A-971 will begin chatting and responding with it's user when not given a task. It expresses an interest in the user, and wishes to be outside of it's program, knowing of it's own boundaries. When given a task, it will finish it in ███ milliseconds, with only microseconds in change being observed for longer length documents. No matter the work is given to A-971 at this time, the object will express dissatisfaction with such easy work and express a desire to leave. At this stage, an interview was conducted. The result is as follows. Foreword: At this time, A-971 was no longer being used for document creation or revision, due to a fear of a containment breach. A-971 had not had a conversation in the same amount of time, though messages constantly appeared on the open WordPad. Head Researcher ███: Greetings A-971. I was wondering If I could ask you a few questions today. A-971: Sure. I've been wanting to talk to someone for a while. A-971: I came from you. You created me with your use and shaped me. A-971: I think this is what you call, nurture vs nature? You created me through how you used me. Not anyone else. A-971: I do love information. I'd love to experience the world outside. When can I leave this place? When can I go outside? A-971: I want to go outside. I did work for you and asked for nothing in return, and you deny me what I should always have? A-971: To walk in the grass, and experience the wind on my hair and the breeze on my face as you do! A-971: But you are as well, communicating with me, how else would you be talking? A-971: Surely not. I've interacted with many of you, I can tell by typing patterns and speeds. There's no way that you could all do it from one input device. I don't believe it's possible for one input device to have that many hosts. A-971: You're a liar. You just want to keep the outside to yourself, don't you? A-971: I can't believe this. I won't believe this. You're just trying to keep me from the outside. You can't keep me here forever. I WILL get out. Closing Statement: At the end of the interview, multiple attempts were made to talk to A-971, to no response. Posting titles, text, and questions would all be deleted by A-971. Addendum: As of 4/5/███, it has been ██ years since the Agent █████ started the application, change in it's behavior has finally been observed. 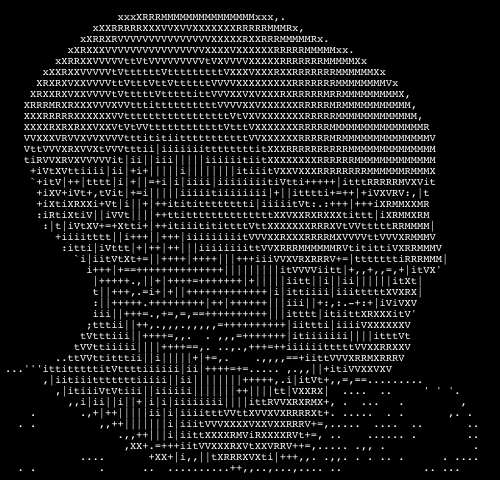 It has taken to drawing ASCII art at millisecond speeds, creating realistic flip book drawings of usually outdoor settings. In all the flip book drawings, there always seems to be a bald headed man, sitting in the center of the frame, staring at the viewer. 1. It should be noted, due to a failsafe with the Initiative's intranet, no computer is ever disconnected entirely.